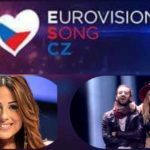 This year X Factor Malta is the successor of Malta Eurovision Song Contest (MESC) as the format for selecting the country’s Eurovision 2019 entry. This Sunday night the show reached to the Judges’ Houses stages for the Boys and Groups’ categories, from which three only acts from each team were to move on to the live shows. After the bootcamp Each group was assigned to a judge as its mentor for the rest of the show . From each goup 6 acts will secure a spot in the next round of Judge’s Houses . The previous four Sunday evenings we watched the girls’ , boys’ , the Overs’ and the Groups’ teams going through the Chair Challenge round and a total of six acts from each group proceeding to the next stage of Judges’ Houses. In the Judges’ Houses round we see 6 acts from each team visit their coach’s- judge’s house in order to perform before him and a special guest their last song, in order to win one of the three spots in each category that lead to the live shows. Last Sunday we watched which three acts from the Girls’ and the Overs’ team passed in the live shows. In last evening’s episode we saw the Boys and the Groups perform in the houses of Ira Losco and Alexandra Alden respectively. The three boys and the three groups will join the rest six acts from the Girls’ and Overs’ team next week on the first live show. Therefore a total of 12 acts will compete in the following live shows in order to win the golden ticket to Tel Aviv next May. One of these will represent Malta in Eurovision 2019. Have you spotted any act that in your opinion stands out from the rest and will be a promising representative for Malta in Tel Aviv?